You will be drastically limiting your exposure to potential buyers, which means it can take between 10 and 15 times longer to sell your home. Houses that take a long time to sell usually sell for less because buyers believe there must be something wrong with them. Most buyers find negotiating with sellers extremely awkward, and therefore avoid For Sale By Owner situations. Most buyers use a REALTOR® in their home search, and most buyers' agents will typically not work with FSBOs because they will not be paid. This means you will have to offer a selling commission to attract buyer's agents, which will cut into your expected "savings." Lack of negotiating experience can result in a lower selling price, or worse, a bungled contract and possible lawsuits. It is probably unwise to pit your negotiating skills against those of experienced professionals. If you plan to use a lawyer to help you negotiate, your lawyer's fees could be considerably higher than a REALTOR's® commission. Unlike Realtors®, lawyers do not get paid for proactively representing your best interests or mediating delicate situations. 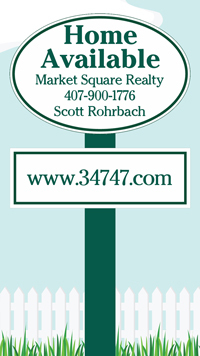 You only pay a commission to your REALTOR® if they successfully sell your home at a price you are happy with. Your property will be featured on our website in real time with excellent internet search engine exposure.